This is the third article in our series that discusses how to reduce the paper flow through your office and speed up the Accounts Payable and Accounts Receivable function! With escalating postage and mailing costs any company that sends out bulk mail such as customer letters, invoices and statements requires the flexibility to adopt a combination of either electronic and paper or solely electronic mailings. How do you implement e-billing? Firstly it helps to understand what the definition of e-billing is. e-billing, e-invoicing. Which is it? E-billing is often referred to as e-invoicing and customers often say “we are sending out invoices” so what is the difference? The use of the two terms depends on your perspective as a buyer or a seller. If you are buying in services managing incoming invoices within the accounts payable department the electronic invoicing process is part of the order to pay process and is e-invoicing. E-invoicing is a buyer centric model where the buyer actively encourages its suppliers to send them electronic invoices. 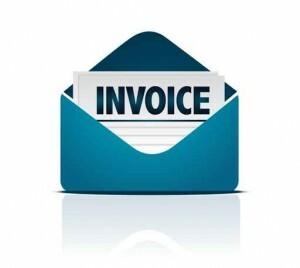 If you are selling services and you are sending bills out to your customers via the accounts receivable department the electronic invoicing process is part of the order to cash process and is called e-billing. E-billing is a supplier centric model where the supplier encourages its customers to receive electronic invoices instead of paper based ones and is less complex to implement than e-invoicing. In both cases, invoices are processed but the difference is that those invoices that are inbound are referred to as e-invoices and those invoices that are outbound are e-bills. In each case invoices are processed but whether you are a seller or buyer determines whether the process is B2B e-invoicing or B2B e-billing. Many companies and organisations alike will operate a combination of both the above processes but the functions may not be electronic or automated and likely to be manually intensive. How do you adopt paperless billing? One of the first challenges presented by the customer is: ” it just won’t work our customers like paper too much!” to which my response “have you asked them? If you want to achieve significant customer adoption then you don’t ask you have a strategic, planned, well thought out campaign to turn off paper and get your customers accepting e-bills. Here are 10 top tips to achieving ebilling uptake! When all is said and done you can’t hold a gun to your customers head and make them adopt e-bills there will always be customers that, for whatever reason want/need a paper bill or, who simply don’t want to change. You can educate them as to how the process can streamline the billing process to ensure they see also reap the benefits of going paperless. If you want to reduce the paper flow call us for an independent and impartial chat. Have you adopted a paperless strategy? Can e-billing work for the SME or is it the sole preserve of the bigger corporations and Utility companies? Electronic billing can effectively reduce costs as long as there is a clear strategy of ensuring customer adoption. This is the second part in the series of How to speed up your document processing! Let’s define what e-billing isn’t! It’s not sending emails with attachments such as excel, word or PDF these are not considered e-bills. E-billing is the electronic transmission of formatted data between a sender and receiver and requires that the format is machine readable like XML or UBL to be able to exchange data. This means that there has to be integration between the senders and receivers I.T. 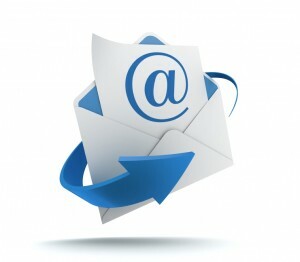 systems or the usage of a third party platform to connect sender and receiver. 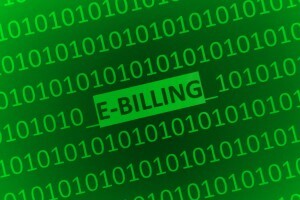 How does e-billing reduce costs? The whole point of e-billing is to reduce the costs associated with the manual intervention of shuffling paper and resolving missing or invalid data on the invoice. E-billing has come along way in the last few years but still only represents a small percentage of the total numbers of invoices processed annually across Europe. Deutsche Bank research showed that 5% of the 30bn invoices processed in Europe in 2010 were electronic leaving 95% of invoice processing still very much a manual entry process which is time intensive, resource sensitive and prone to human errors. One of the main reasons e-billing fails and the take up of a paperless solution is lacklustre is as a result of a Company’s e-billing adoption strategy. The solution on offer can have excellent features, outstanding customer benefits, offer the promise to reduce costs which will benefit your bottom line but if your customers don’t want to adopt e-billing as a viable alternative to your paper bill then your e-billing offering will crash and burn and end up by being an additional cost and a business process that requires ongoing maintenance. If you are serious about creating a paperless billing solution you must have a clear strategy that leads to the turning off of paper for your customers and be almost single-minded in the adoption of e-billing. Ideally you want an immediate return on investment when you’ve made a conscious effort to move to an e-bill solution and a decrease in operational costs associated with producing, printing and distributing paper bills. Sadly, this is rarely the case. Banks, Companies, Financial Institutions have made massive investments in their websites trying to drive customers to an electronic option but these sites are failing to drive customers to adopt an electronic option. Because websites are forcing customers to come to a website portal with a request to register and then collect their invoices. Therein lies the problem. There is a natural human resistance to have to make the time to go and collect a bill that has been emailed to them. Why would you go and fetch a bill from a suppliers website? The onus is on the supplier to make it easy for the purchaser. Website collections requires a one off registration process, a user login and a password? What happens next time when the user forgets the password? We are besieged with trying to remember passwords for this and that so make it easy for your clients. Would you drive your car to your suppliers to collect an invoice for your company? Customers don’t opt for web based presentment to collect their bills and web portals have not succeeded in driving customers to want to adopt an ebill instead customers prefer the convenience of receiving a bill in their inbox e- mail. How do you ensure your e-billing strategy is a success? Having a defined methodology for adoption, convenience, ease of use, security and adaptation will ensure increased adoption rates! What do you think about e-billing? Has it worked for your company? Have you converted all your clients to e-bills? Contact us for a free and independent discussion on how e-billing can save you time and money! To subscribe to our news updates please do hit the orange button. You can follow us on twitter too! Connect with us on Linkedin, Google+ and facebook.